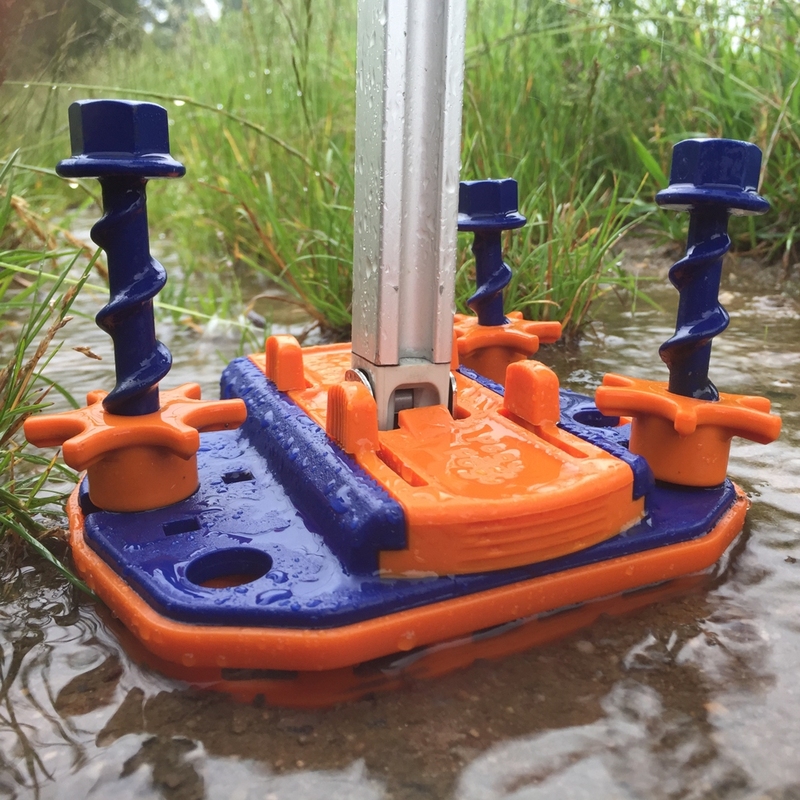 Really wet weather can mean a lot of mud - and ideally you don't want your awning legs and feet getting clogged with mud. Thanks to the Peggy Bridge you can raise the feet out of the mud. 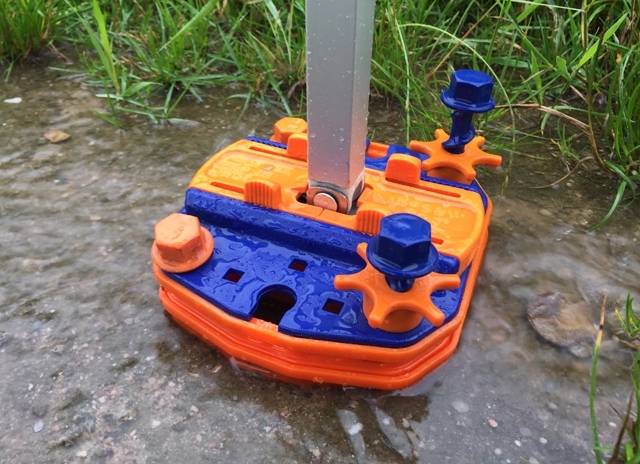 The constuction of these Fix & Go accessories allows the water to run unhindered through them and allows particles of dirt to be easily flushed out. If required the Fix & Go Bridges may be stacked into each other and thus the amount of ground clearance can be increased. In this case the length of pegs in use should be considered. Suitable for all Peggy Peg screw-in pegs (available separately). Fix & Go Bridge allows water to flow through it. Debris can be easily flushed out. 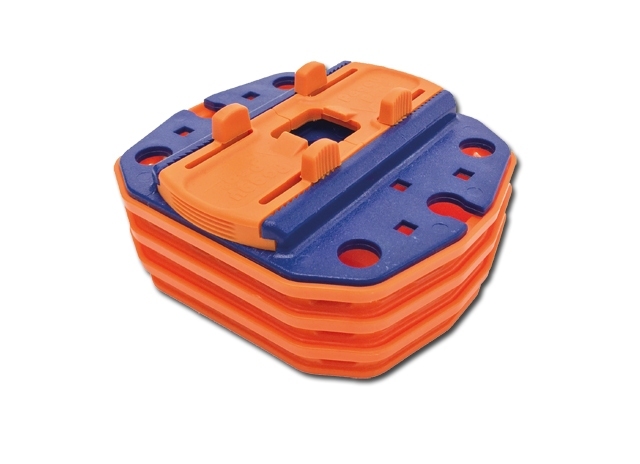 Stacking the Fix & Go Bridges allows you to increase or decrease ground clearance as required.